Dozens of rallies were held throughout Poland in memory of Gdańsk mayor Paweł Adamowicz. The President of the European Council, Donald Tusk brought up fond memories of the deceased mayor at one such rally in Gdańsk, but could not refrain from politicizing his speech. The rallies were held on Monday in all major Polish cities, including Warsaw, Gdańsk, Poznań, Kraków and Katowice. At the rally in Gdańsk, in addition to Donald Tusk, former president Lech Wałęsa, deputy mayor of Gdańsk Aleksandra Dulkiewicz, the mayor of Gdynia Wojciech Szczurek and the Deputy Marshal of the Senate Bogdan Borusewicz were present. “We came to you today as citizens of Gdańsk, every person in Gdańsk remembers you from your youngest years. You were always there, when a good and brave face was needed to oppose evil,” Tusk said and underlined that all of Adamowicz’s life focused on this. “We came to you today as Poles. I remember how emotional you were when you sung the song of solidarity “Prayer at Sunrise” with us,” Tusk continued. 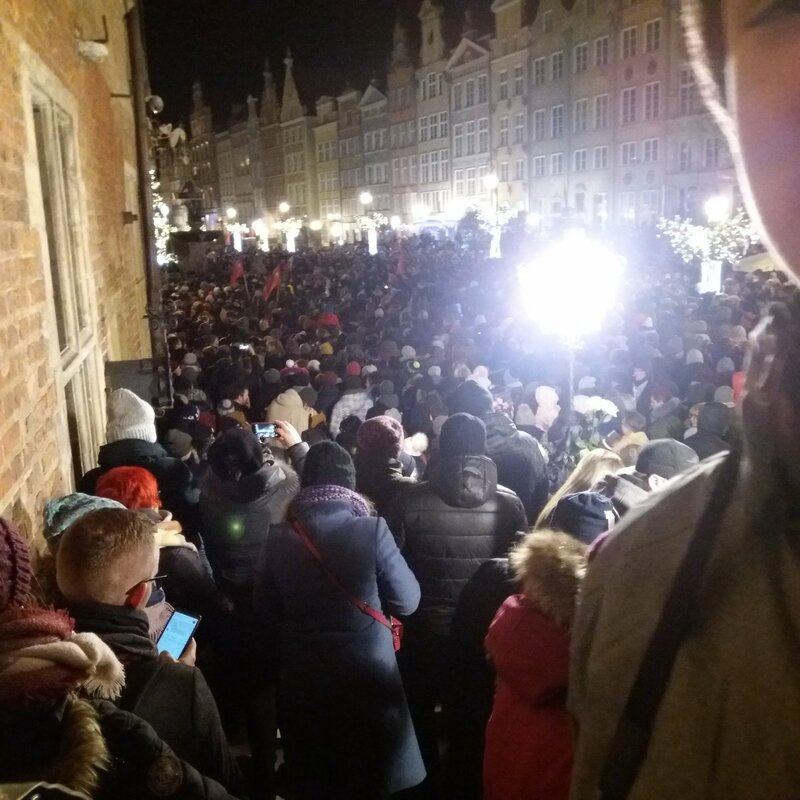 “I want to promise you, dear Paweł, that in the name of all of us – citizens of Gdańsk, Poles and Europeans – that for you and all of us, we will defend our Gdańsk, our Poland and our Europe from hatred and disdain. We promise you that. Farewell Paweł,” Tusk ended his speech.